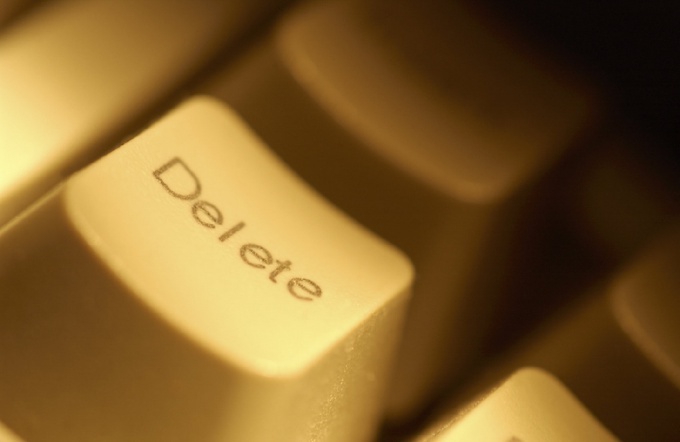 For a number of reasons, many people have the desire to delete My World from a mile <url> – in other words, clean up your page. Perhaps this is due to the reluctance to use the service in General, personal experiences, expressing their protest or something. Anyway, the service mail.ru this does not prevent its users and provides a right without much effort to remove your page from My World. You can do this in two ways. If you want to remove not only your page, but mailbox, use the following steps. In this case, the removal of your email address will entail the removal and all of your other services: photo album, My World, video, and more. But this operation must be performed, if you have firmly decided not to use under your login services mail.ru. To do this, log into your email, enter the correct username and password. Copy and paste the following link win.mail.ru/cgi-bin/delete in the browser window (Mozilla Firefox, Opera or something else- it does not matter). Next you will be taken to a page deleting an e-mail, mail ru. Here you will see information about your data services will be deleted along with your mailbox mail.ru. Below you will see an empty box with the inscription: "Please enter a reason", where you should indicate the reason you wish to remove your mailbox. You also have the right of removal of the drawer without giving reasons. Even if you leave the box is not filled, you can continue the process. Enter your current password, confirming your action, and click Delete. From this point on your Inbox for mail.ru deleted. If you wish, you can restore your mailbox to the mail.<url> using the same username and password. However, all data will be erased. If you want to remove only My World from a mile <url> - sign in to my world with your username and password. Open the first tab and scroll to the bottom. Under the header "Delete My World" you will see the following information: "Yes, I want to Delete my World, losing all the entered information without the possibility of recovery. Click on the highlighted area of rows, and your page will be removed.